No other nutrient has had as much attention as fat in recent years. While fat is an essential nutrient, like protein and vitamins, it’s important to remember that fat contains 9 calories per gram, while carbohydrates and protein each contain 4 calories per gram. This means that a low fat diet is a more painless way to keep the calories in check. 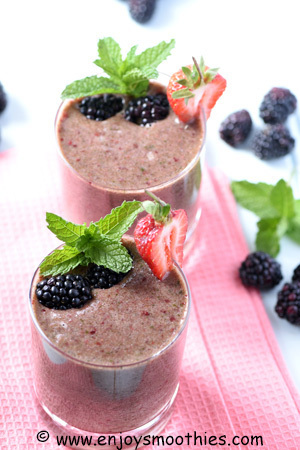 So if you are simply looking to reduce your caloric intake, these low fat smoothies are ideal. When the body takes in more fat than it needs, that fat is readily transformed into body fat that is deposited in the abdomen, inside the arteries and beneath the skin. So if you have overdone it recently or are trying to counteract poor food choices made over time, reducing your calorie intake by reducing excess fats from your diet can be a quick and easy solution. By replacing a few fast-food and processed meals each week with low fat smoothies that are chock full of fruits, vegetables and other low-calorie ingredients, you will probably end up eating healthier as well as lowering your calorie intake. 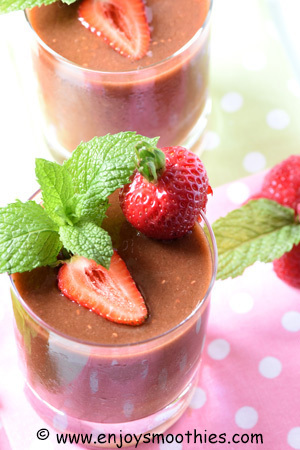 If you are wondering which ingredients to leave out of your smoothies to reduce calories, think almond butter, avocados, chia seeds, flaxseed, hemp seeds, peanut butter, sunflower seeds and nuts such as cashews and walnuts. Whereas foods such as bananas, berries, peaches, apples and spinach contain no fat, yet offer an abundance of essential vitamins, minerals and antioxidants. But it’s important to remember that eliminating all fat will not leave you with a balanced diet. Whether you are simply trying to eat healthier or lose a few pounds, it’s vital to follow a balanced eating plan that provides sufficient calories and includes plenty of vitamins and minerals. 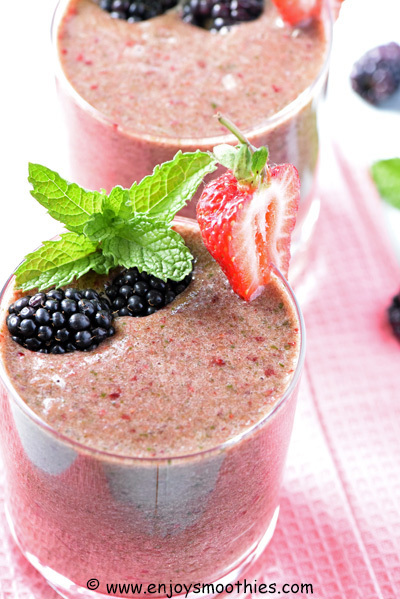 Blend together the banana, strawberries, blackberries, peach, baby spinach and coconut water until everything is blitzed. Pour into two tall glasses. NOTE: If you wish to add protein, add half a cup of yogurt. Blitz together the frozen strawberries, raspberries, mango, spinach, green tea, grated ginger, lemon juice and honey until everything is well mixed. Pour into two glasses top with extra fruit and enjoy. 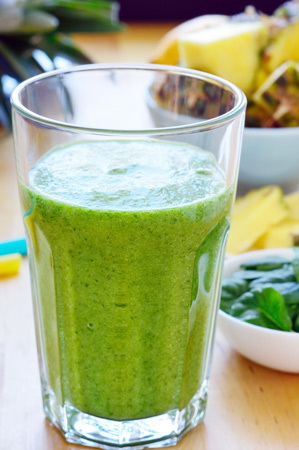 Add the frozen pineapple, banana, mango, spinach leaves, coconut water and lime juice to a blender and blitz on high until everything is well blended.